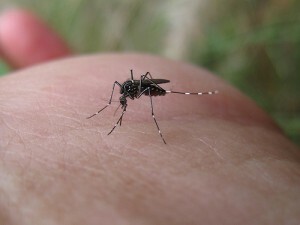 How to Protect Yourself from The Mosquito - Yes Pest Pros, Inc. How to Protect Yourself from The Mosquito - Yes Pest Pros, Inc.
As the warm weather approaches, and you spend more time outdoors, you should take precautions to keep yourself safe. One of the worst summer insects are mosquitoes. It is important to make sure we are well protected from the mosquito. They can carry many diseases, including malaria, yellow fever, and some forms of encephalitis. Mosquitoes affect not only ourselves as humans, but our pets and neighborhood animals as well. are the least effective and most harmful to the environment. Not only do they not kill all the mosquitoes, but some sprays kill everything, including the beneficial insects like worms and lady bugs. Citronella candles only work if you are within the cloudy smoke they put off; otherwise, you’re wasting time and money. Zappers don’t kill mosquitoes; they attract them to standing water, kill good insects, and fill the air with bug particles. These particles can then contaminate food or drinks that are nearby. Mosquito control can be solved in several ways. You can buy traps, which can be placed around your home to control mosquito levels. Mosquito traps create a staged breeding area for female mosquitoes, with only about 1% of a very low toxicity pesticide that makes them highly recommended and environment friendly. Bat houses can also help with mosquito control, since they are a main source of food for bats. If you do, be sure to follow the directions carefully. When they come out at night, you can watch from your yard as the mosquitos provide a tasty meal to your flying friends. Another safe method is using lemon. Lemon is a natural mosquito repellent as they seem to really hate the smell. Simply mix up a liquid lemon solution, with lemon juice, and spray your yard every two weeks to keep them out. It takes about 20 gallons to ensure your yard is fully doused, and the spray is not harmful to beneficial insects. Mowing your grass takes away breeding grounds. You should also be sure to clear away any containers with water collected in them. Mosquitoes need water to lay eggs and breed. Planting lemongrass at intervals within the boundaries of your yard also helps keep these tiny flying pests away during the summer. Citronella candles are only effective if you stay within the smoke clouds, but you can plant citronella in your yard, add the oil to lotions or creams, or create a spray to ward mosquitoes’ off. Local nurseries also carry an environmentally friendly spray called garlic barrier that you apply when you fertilize your grass and plants. Make sure to apply it as the directions state. This product is also safe for children or pets. You can plant lemongrass in window boxes, and use lemon spray around doors to help keep mosquitoes out of your home as well. Of course, you can also hire professionals to help you if you prefer. So this year, instead of paying out a ton of money for sprays, foggers, or other methods that are not very effective, try out some of these safe and natural mosquito repellents on your yard or home.